India's Minister for External Affairs Sushma Swaraj, on an official visit to Qatar, was received at Doha International Airport Sunday on her arrival. 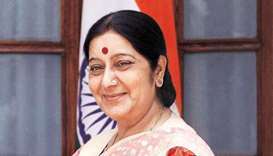 India’s External Affairs Minister Sushma Swaraj will undertake an official visit to Qatar from Sunday to Tuesday as part of a tour of the region which includes Kuwait, the embassy announced Friday. 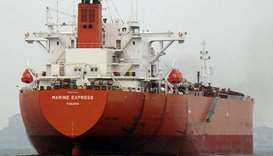 The Gulf of Guinea has become an increasing target for pirates who steal cargo and demand ransoms, even as piracy incidents fall worldwide, experts say. 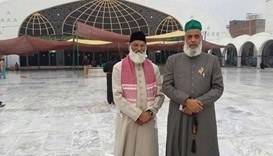 Two prominent Indian Sufi clerics who went missing while visiting Pakistan are safe and were expected to return to Delhi on Sunday, Foreign Minister Sushma Swaraj said on Twitter. Flip-flops bearing the face of India's independence icon Mahatma Gandhi for sale on Amazon triggered fresh outrage Sunday, days after the e-retail giant was forced to stop selling Indian flag doormats. 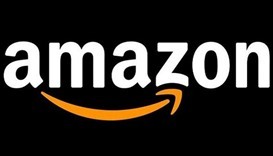 Retail giant Amazon removed Indian flag-themed doormats from its website on Thursday after a government warning and widespread uproar in the country. 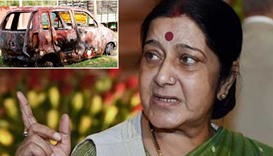 India's foreign minister said on Wednesday she was in hospital being treated for kidney failure and undergoing tests for a possible transplant, an announcement that raises questions over how long she can stay in the job. India's government on Wednesday approved plans to ban the booming commercial surrogacy industry, a move that would block thousands of foreign couples who flock to centres to have a baby. 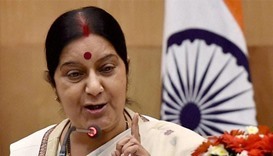 India said on Sunday it would send a government minister to Saudi Arabia to try to bring back workers who have been laid off from their jobs, as the foreign minister said more than 10,000 Indians in the country were facing a "food crisis". 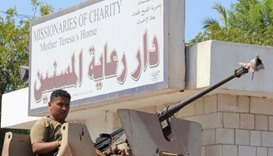 Gunmen who killed at least 15 people in an old people's home in Yemen last week also kidnapped an Indian priest, as Pope Francis condemned the attack and the "indifference" of the world's reaction to it. India police arrested five people Thursday over an enraged mob's attack on a Tanzanian student who was beaten, her shirt ripped off and car set ablaze in the city of Bangalore.